A major shopping centre is set to open just north of Calgary, promising 500 boutiques and a "unique, international shopping experience." An enormous shopping centre, billed as a modern, international bazaar, is expected to open this summer just outside Calgary, right across from megamall CrossIron Mills. New Horizon, the 320,000 square-foot mall, bills itself as an "Asian-style" retail hub. It will feature 500 stores and food stalls, ranging in size from 285 to 855 square feet, selling goods from all over the world. "The business style of this mall, really, is like an Asian-style mall," similar to a souk, or Middle Eastern street market, but more modern," said investor Mohammed Kharfan. "It is different than anything in the region," Kharfan said. "If you go to the Middle East ... this is what you'll see. You'll see small stores selling all kinds of goods." The mall is set to open next door to the massive shopping centre that is CrossIron Mills, which has more than 200 stores and outlets and over 1.1 million square feet of retail space. But Eli Swirsky, president of the Torgan Group, one of the site's developers, said that by focusing on small merchants, many of whom will be unique to the mall, New Horizon will complement — not compete against — that existing retail establishment. "This is a totally different shopping experience from CrossIron. We expect our shoppers to go over there, and their shoppers to come over here," Swirsky said. 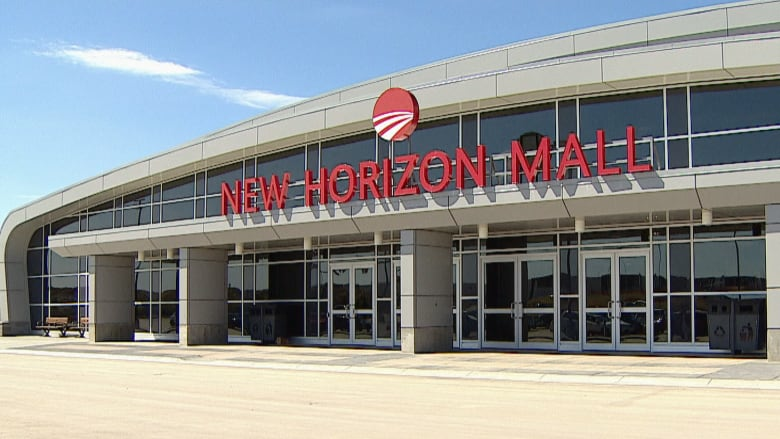 Nearly every unit in the New Horizon Mall will be privately owned, not leased, and governed by a set of common bylaws, similar to a condominium corporation. The developers, however, have retained ownership of a number of larger stores on the second floor and lower level. 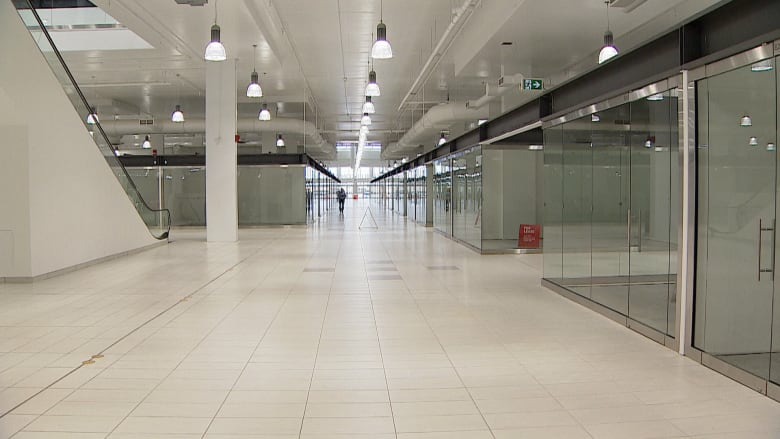 Roughly 99 per cent of the available mall space has been sold, according to a release from the mall.